You’ve had a great season tending to your tomato plants! But with the summer winding down and chilly days coming soon, you may be wondering what to do with your tomato plants now. Get a head start on spring by preserving the seeds from your tomatoes. Tomato seeds might be available at the store year-round, but saving your own is satisfying and easy. Luckily, September is the perfect time to begin planning for next year! How do I pick which seeds to preserve? The general rule of thumb is to only take ‘open-pollenated’ seeds or heirlooms. 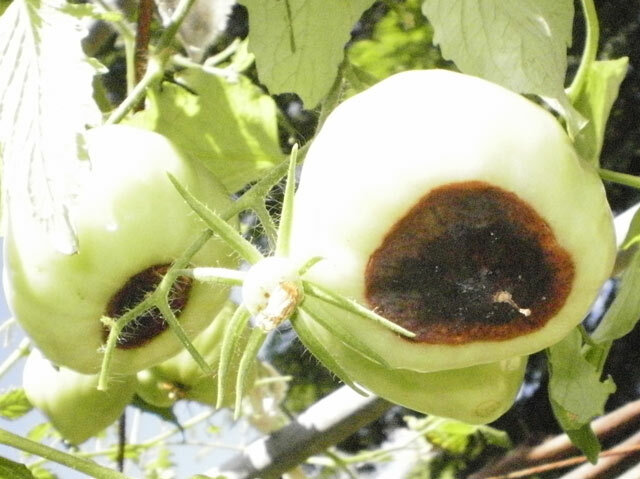 Hybrid plants often produce sterile seeds. Or, they do not produce seed with the same desirable traits of the parent plant. Harvest seeds from tomatoes that are healthy and embody the characteristics you’re interested in preserving. For example, you could pick seeds from the juiciest tomatoes, or the ones with the most interesting colors. It’s your choice, but make sure you pick from healthy plants. Unhealthy plants could carry illnesses. If possible, save seeds from multiple plants. This method is pretty simple. Open the tomato and remove the seeds, squeeze them onto a paper towel, wait for the seeds to air dry and then store them in a jar, an envelope or even the same napkin. This method is quick and straightforward. It’s not absolutely necessary to ferment your tomato seeds, but fermenting makes it easier to completely separate seeds from the gel that surrounds them. Fermenting also eliminates the bad seeds and reduces the possibility of seed-borne disease for next season. 1. Wash the tomatoes. Slice each in half across the middle (not the end with the stem). Squeeze the seeds and juice into a (labeled) glass or plastic container. 2. Set containers aside when half-full. Place containers in an area that is out of direct sunlight and out of the way, so the fruit flies and odor will not bother you. 3. Let the seeds sit for three to five days or until the surface of the container shows a whitish mold. This is a good thing! The seeds should be floating at this point. In warmer climates, you may need to add some water to keep the seeds afloat. 4. Gently scrape the mold off with a spoon. Do not remove the seeds. 5. Fill container with water and then stir it. The seeds you want will sink to the bottom. 6. Pour off the excess to remove floating seeds and pulp. 7. Repeat the process until the good seeds, at the bottom, are cleaned. 8. Pour the good seeds into a strainer, then rinse and drain them. An airtight container works best for storage. When packaged correctly, tomato seeds remain usable for up to six years! You can place the seeds in the refrigerator or freezer, but the seeds will last even when stored at room temperature. When you’re ready to use the seeds, if they’ve been chilling in a refrigerator or freezer, let them adjust to room temperature first to prevent excess condensation from creating any damage. For more tomato tips, check out our total tomato growing guide! Be sure to visit us on our Facebook page or Twitter page and tell us how you plan to preserve your tomato seeds! When it comes to insects in your garden, don’t be quick to kill. Not all insects are enemies. In fact, most insects are essential players in your organic garden’s success. Others are neutral and don’t cause any harm. Yet some will ruin your harvest. Spotting the difference between the good and the bad can be tricky, so keep your eyes peeled. It doesn’t matter if you’re growing hybrids or heirlooms, there are a few pests you don’t want around. 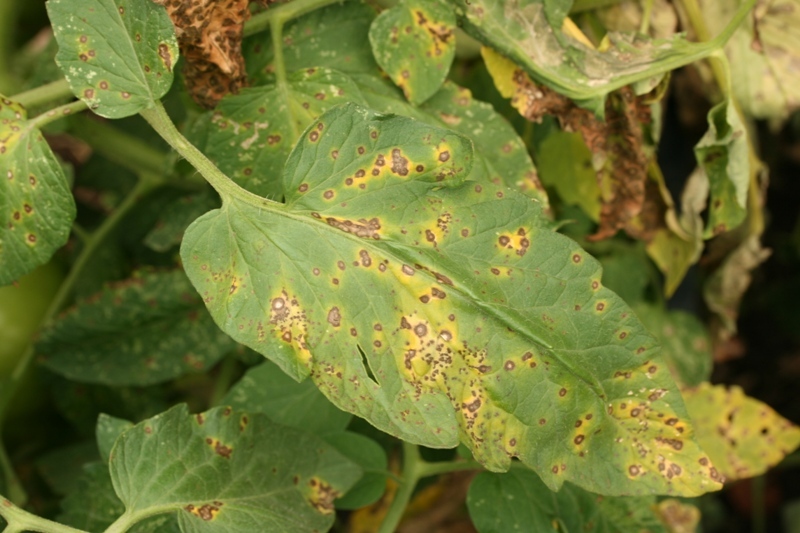 Identify harmful pests early before damage is done. If you spot a hornworms, spray with water or remove by hand. Hornworms – These destructive caterpillars can grow to about 3-3½” at full size, but their green color makes them difficult to spot. If you spot hornworms, spray with water or remove by hand. However, where there is one, there are usually more. If there is a large infestation, consider spraying tomato plants with an organic approved pest control. Fruitworm – Adult tomato fruitworms are moths, typically yellow or olive in color. They often lay eggs near the leaves of the plant. If you see fruitworms, check leaves for eggs. 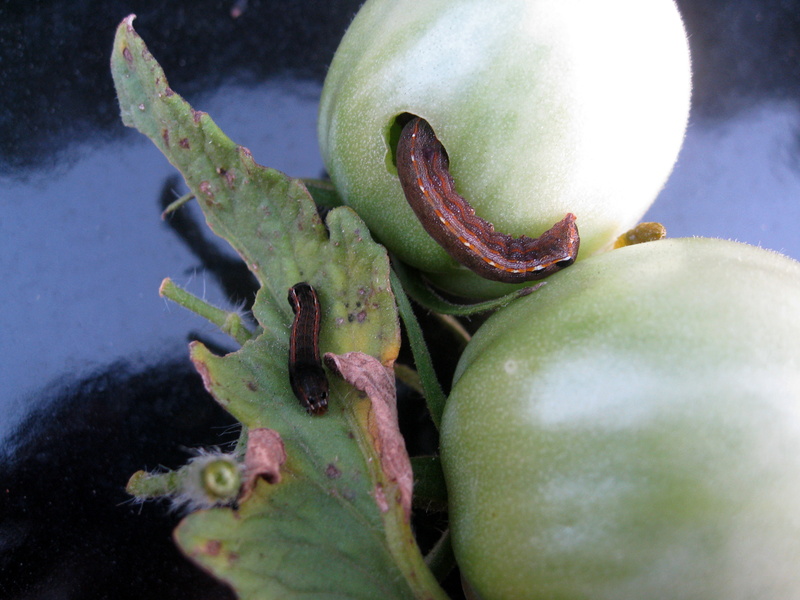 Larvae feed on leaves and foliage before moving to the tomato, giving you more time to stop potential damage. 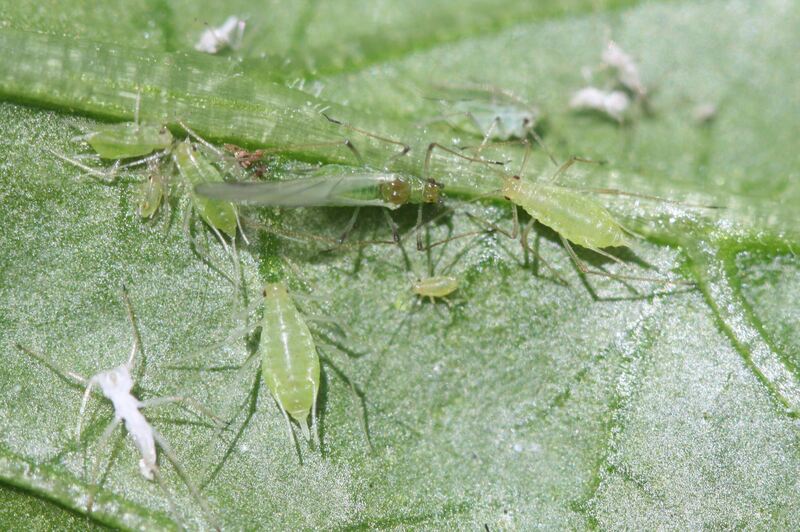 Potato Aphids – These tiny insects are usually found in dense clusters. Potato aphids are typically not serious enough to kill plants, but a large enough infestation can stunt growth and lead to mold and disease. If you spot an infestation, remove it and be sure to throw in the garbage. If thrown on the ground, aphids will re-infest the plant. To control, apply insect soap. 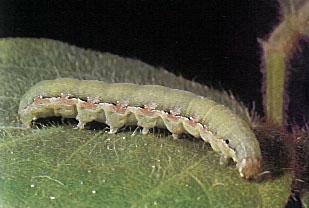 Beet Armyworm – Similar to the fruitworm, beet armyworm adults are moths with gray and brown upper wings and white or pale gray lower wings. They typically lay eggs on the underside of leaves. 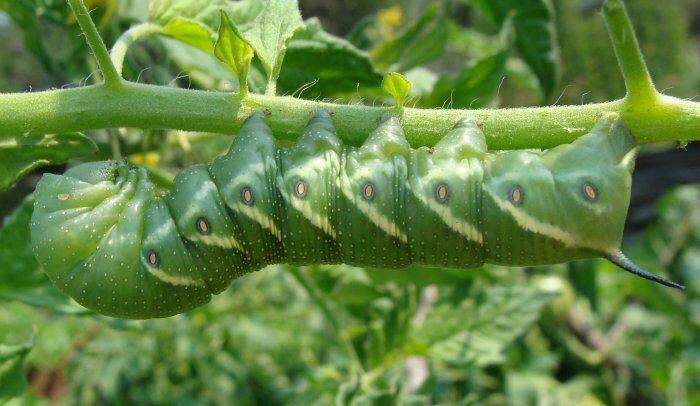 When larvae hatch, they feed on foliage before attacking the tomato itself. Remove beet armyworm caterpillars by hand before they become moths. When it comes to tomato pests, the best way to stop damage is to spot pests early. Keep a close eye on your tomato plants, especially in the early stages. Introduce beneficial insects such as lacewings or ladybugs into your garden to naturally control common pests. Pruning tomato plants and giving them the right support can also make pests easier to spot and keep bugs at bay. How Much Water Do My Tomato Plants Need? Imagine having a successful, bountiful tomato harvest every season — juicy, red tomatoes ready for the kitchen. The good news? You can! Tomato care isn’t hard. When it comes to growing tomatoes in your organic vegetable garden, the secret is in the soil. Maintaining consistent soil moisture is crucial for a successful harvest. When, and how frequently, you should water your tomato plants depends on the variety, size and location. When starting tomatoes from seed, the soil can dry out quickly since seedlings are typically in small containers or trays. Check soil daily to ensure it has not dried out. However, seedlings require very little water. Use a spray bottle to mist seedlings and keep just the top of the soil moist. If the soil becomes too wet, move the seedlings to an area with increased air flow and hold off on watering again until needed. Never let seedlings sit in a puddle of water. As seedlings begin to sprout and grow, they will need more water. If the soil in the tray dries in less than 24 hours, it might be time to move your seedlings to the garden or a larger container. When you plant tomatoes right in the ground, the roots can extend deep into the soil as they seek out water. Water newly planted tomatoes well to make sure soil is moist and ideal for growing. Early in the growing season, watering plants daily in the morning. As temperatures increase, you might need to water tomato plants twice a day. Garden tomatoes typically require 1-2 inches of water a week. Tomato plants grown in containers need more water than garden tomatoes. Soil in containers heats up faster which leads to more water evaporation. A good rule of thumb for containers is to water until water runs freely from the bottom. Water in the morning and check the soil moisture levels again in the afternoon. If soil feels dry about 1 inch below the surface, it’s time to water again. Adding organic mulch to tomato plants reduces evaporation in the soil. That means less watering, so you can save time and resources. Add Espoma’s organic Tomato-tone, a slow release premium plant food, for bigger, healthier roots that can withstand a little drought and excess heat. There are many factors that affect how much water tomato plants need, such as weather conditions and the size and growth rate of the plant. Every plant is different! The best way to give your tomatoes the care they need is to closely monitor the plants and the soil moisture weather. Visit our Organic Tomato Gardening Guide for more tips and tricks. https://www.espoma.com/wp-content/uploads/2016/06/watering-can-342553_1920.jpg 1303 1920 Jourdancole https://www.espoma.com/wp-content/uploads/2018/11/espoma-organic-logo.png Jourdancole2016-06-23 08:00:182019-01-31 20:53:16How Much Water Do My Tomato Plants Need? Laura from Garden Answer demonstrates how to make an upside down tomato planter. She uses Espoma’s new liquid fertilizer, Start!, to give plants the nutrients they need to grow. Learn more about planting tomatoes in our organic guide.